and on top of all, i ‘ll always have a huge hug for him till i live to be 200 years old! this is such a touching photo…..and it IS perfect for the challenge. it shows a moment can be fleeting in a relationship that’s not! Be grateful for every second you have with your father. Mine passed in 2006 and not a day goes by that I don’t think of something wise/wonderful he taught me more by example than with words. He was an old school Italian guy (and lifelong cop!) tougher than nails and rigid, but man, could I depend on him in a moment’s notice, even when he disapproved of my lifestyle or choices. Thank you so much! I am sorry for your loss, i know parents are irreplaceable, without that having to mean that they are perfect. Great picture! Thanks for sharing! Ah, but all very similar when it comes to their daughters, I think! What a happy moment. What a happy picture. What a beautiful and touching post! Fantastic photo. Those memories are the one we have to cherish the most. Memory … Such a lovely photo for a fleeting moment. What a lovely, touching moment captured and shared. A real privilege to have seen it 🙂 Reminds me of when I was a youngster with my dad! That is one beautiful and loving moment with your dad that will always be remembered in you heart. 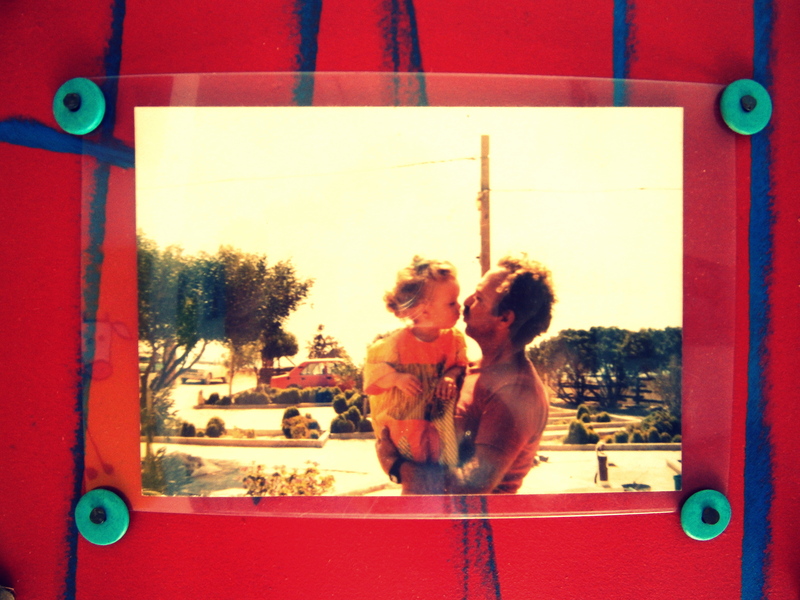 The image is a priceless, wonderful memory that you and your dad will always treasure. Thanks for sharing with us you wonderful world. Best wishes to you and your family. What a lovely post and great image! But it is sooooo sweet and what a moment to share. 🙂 Love! A fleeting moment? Perhaps not, but a treasured one for sure. 🙂 Thank you for commenting Paula, this way i got to see your dreaming challenge! Loved it! love this. Such a beautiful memory. Lovely post. And whoever shot it, did it in the most perfect moment. Awesome memories. Hahahaha really, they look alike? The truth is i can’t even imagine my dad without his mustache!!! It would be so weird…. i am sure i would have the same reaction as you did when you were little! That is a lovely moment captured by the camera and your heart. In some ways it’s a fleeting moment – as all moments are – but at the same those memorable moments will always stay with us and thus never vanish. This is such a poetic and beautiful post. Thanks for sharing. Ιωάννα, Καλημέρα! Είναι υπέροχη η φωτογραφία με το μπαμπ ά σου και ό τρόπος που το έχεις παρουσιάσει. Μάλλον όλες οι Ελληνίδες έχουμε ένα θέμα με τους μπαπάδες μας και το μουστάκι τους (και λόγω αυτού, με το μουστάκι γενικότερα 😉 ). It’s a gorgeous caption and way of presenting facts. Keep walking my dear… Keep walking! Δεν μου φάνηκε και πολύ ευγενικό να γράψω μόνο στα Ελληνικά, γι’ αυτό και πρόσθεσα και το αγγλικό σχόλιο μετά (μην είμαστε και αγενείς). Πραγματικά κι εγώ έτσι νιώθω. Είσαι η μόνη Ελληνίδα που έχω βρει (εδω κι ένα μήνα που άρχισα το blog) και δυσκολεύομαι να βρω κι άλλους. Οι μπαμπάδες με τα μουστάκια είναι μεγάλο κεφάλαιο φυσικά! Μέχρι και blog μπορούμε να κάνουμε αφιερωμένο στο θέμα!!!! Χάρηκα πολύ που τα είπαμε και στα Ελληνικά! Έτσι είναι, και εγώ έχω συναντήσει περίπου 5 Έλληνες μπλόγκερς…. μεγάλη συγκίνηση!!! Follow my blOg & I'll email you every time I write a new post, I promise!